A second local hearing on Aquarion Water Co.'s requested 18 percent hike in residential water rates will take place Tuesday. The hearing by the state Public Utilities Regulatory Authority will take place at 6:30 p.m. in the Fairfield Warde High School auditorium, corner of Melville Avenue and Knapps Highway. 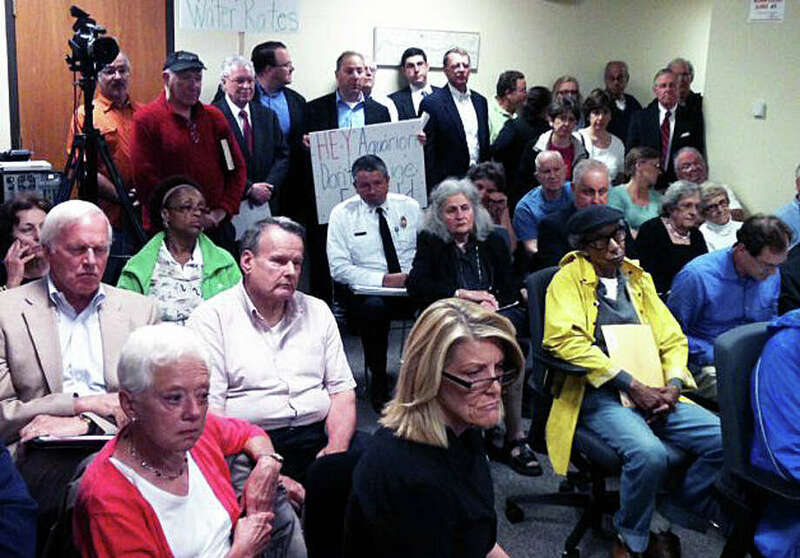 An earlier hearing on the water company's proposed higher rates -- 18.3 percent for residential, 18.4 percent for public authorities and commercial, and 9 percent for fire use -- drew a large crowd last month, but many complained the Sullivan-Independence Hall hearing room was too small to accommodate all those who wanted to attend. PURA is conducting the hearings prior to ruling on the proposed rate increases. The state agency is expected to rule on the rates by August, and any changes will take effect in September. Members of the public can comment on the Aquarion rate requests at the hearing or send comments to PURA.executivesecretary@ct.gov.